You will have the ability to quickly create amazing buildings and thus you will be able to in a few minutes to create an entire city in the game! 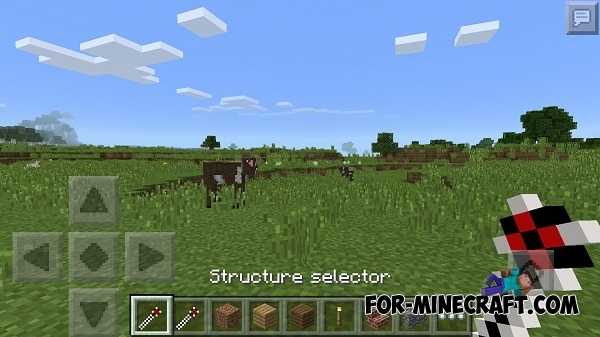 It's really amazing mod for Minecraft PE 0.14! First you will need to get two items - Structure selector - is for selecting a building and Structure placer - is needed for the construction. You can get them in the creative inventory or using SimpleCommands mod. Tap in any place by Structure selector, then the interface will be opened with a selection of buildings. All buildings have been categorized. Select a building and click on its name. Tap in any place by Structure placer (where you want to build). 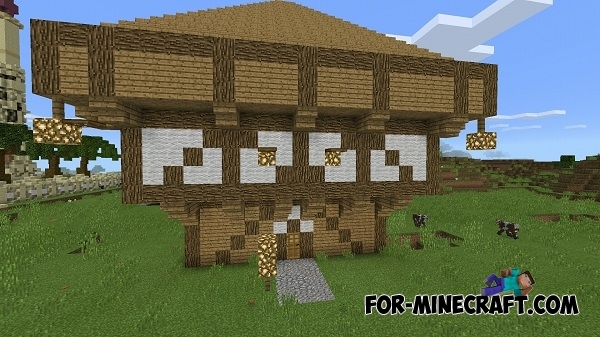 After some time it will be generated depending on the number of blocks in the construction. 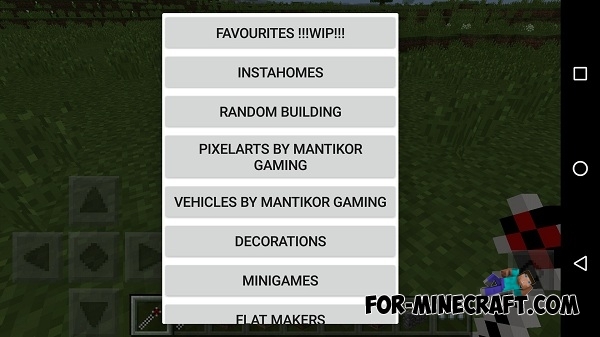 You need to install all scripts from Megaboilds Folder to create a mega construction! Go to «ModPE scripts» section and click on the "Add"
Why i can't see the tools?